In 1957, Justis' alto-sax dominated recording `Raunchy' was a huge hit for Phillips International, one of the first in a series of rock instrumentals which paved the way for the success of the Champs, the Ventures and Duane Eddy. Justis, born in Birmingham, Alabama on October 14, 1927, was a professional jazz musician and arranger who came to rock'n'roll production with Sun in Memphis in 1957. 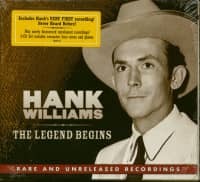 Besides his own recordings, he arranged hits for Johnny Cash, Jerry Lee Lewis and Charlie Rich and was active in mellowing the raw sounds of Sun rock'n'roll for a national pop audience. In 1959, he formed his own short-lived label, Play Me, and then joined Groove-RCA as an artist and producer, again working with Charlie Rich. He moved to Monument and Sound Stage 7 in Nashville, for whom he produced big hits for the Dixiebelles.